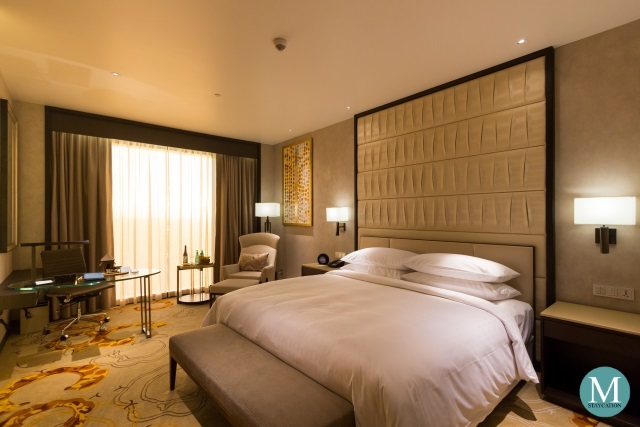 The Bay View Deluxe King Room is one of the four guestroom categories of Conrad Manila. It is a notch higher than the Deluxe Room primarily because of the view from its window. 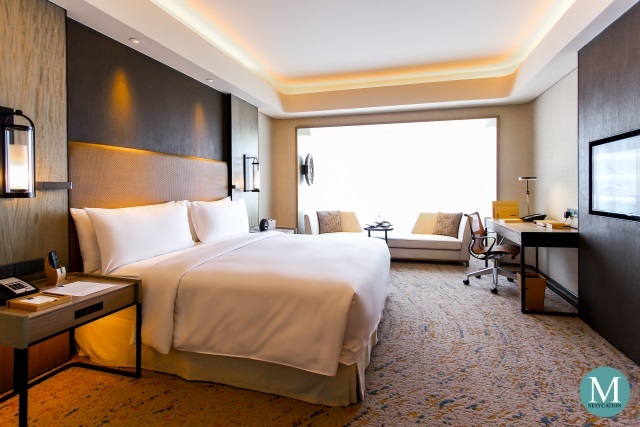 While the Deluxe Room has a view of the city, the Bay View Deluxe King Room has a front row view of Manila Bay. 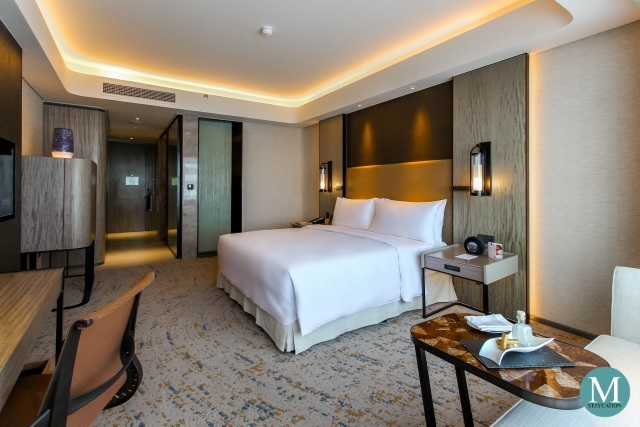 The Bay View Deluxe King Room has a floor area of 40 square meters, luxuriously spacious for this category. It is furnished with either a king bed or twin beds. There's a seating area with a sofa and a coffee table. The work desk has an adjustable lamp and an ergonomic desk chair. 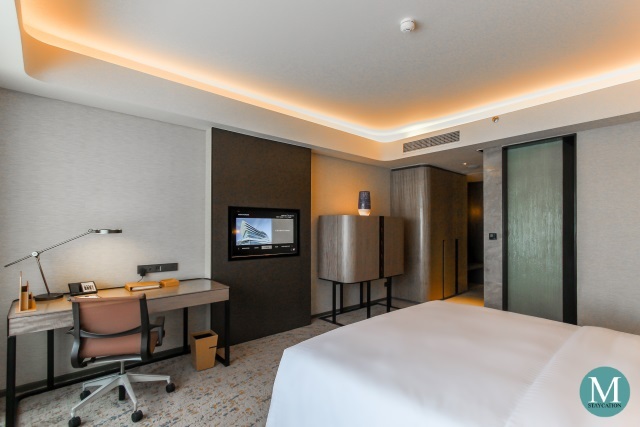 Aside from the remote controlled curtains and window shades, another cool feature of the room is the automated mood lighting which adjusts the intensity of the lights depending on the time of day (or night) and whether the curtains are open or the window is shaded. Adding a local touch to the room are the local materials used in the interior of the room such as the abaca fibers on the walls and the coconut shells made into table top and accent pieces. 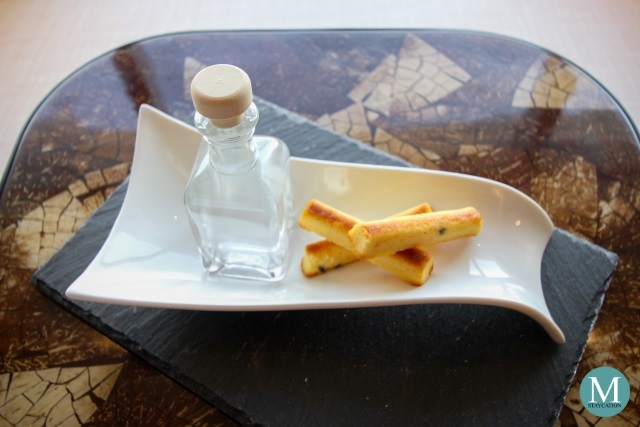 Welcome amenities are also Filipino inspired such as the fresh coconut water as a welcome drink. Guests staying at any Conrad hotels receive a complimentary stuffed animal toy which is different from country to country. Here in the Philippines, the official stuffed animal toy of Conrad Manila is Carey the Carabao. 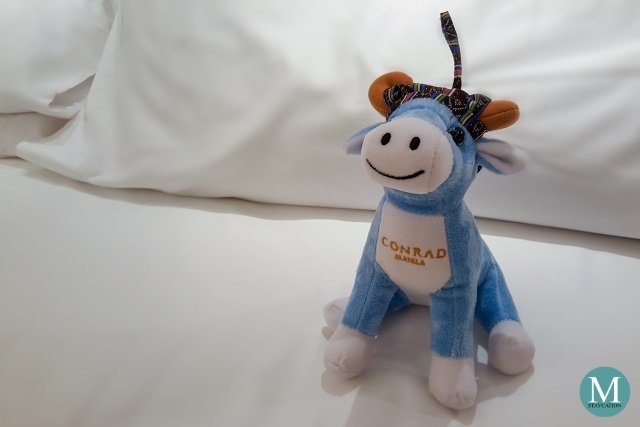 Fans of Conrad Hotels actually collect these stuffed toys whenever they travel around the world. If you don't fine one in your room, just call the operator and ask for one. It's free. Since we stayed at Conrad Manila on it's first day of opening, we experienced the Serenity Bed in its brand new state. The mattress had a medium firmness and is topped with a thick mattress cover. The bed and the duvet are covered in 300 threadcount sheets which were very soft to the skin. The pillows are filled with non-allergenic feathers. You can also request your preferred pillow from the pillow menu. 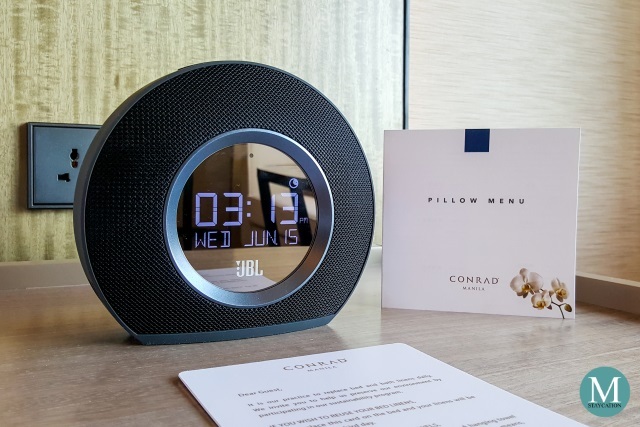 Conrad Manila is the very first hotel in Manila to provide a JBL Horizon as an in-room alarm clock to all its rooms and suites. Aside from being an alarm clock, this device also has a built-in radio and blue-tooth capability to stream music. 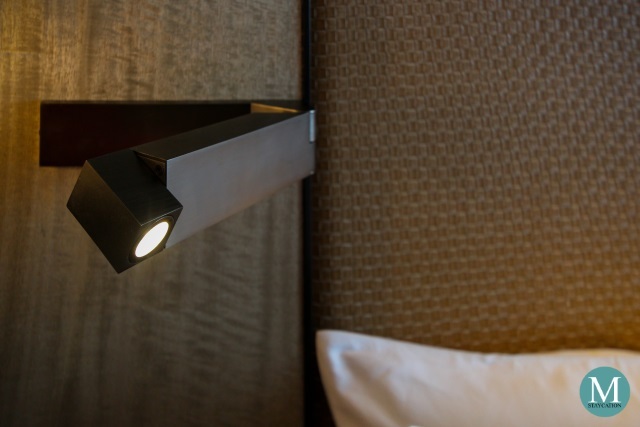 The JBL Horizon has a superior Stereo sound quality perfect for luxury hotel brands like Conrad. Complimentary wifi internet access is also available inside the room. There's a 42-inch flat panel HD television with local and international cable channels. Premium HD channels are also available. 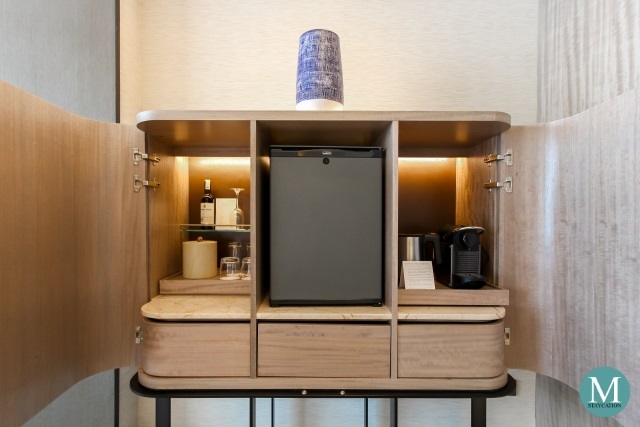 Another unique feature of the room is the minibar cabinet which is placed on a rack to make it more accessible to the guests. The cabinet houses an electronic kettle, a Nespresso coffee machine, and the mini refrigerator. 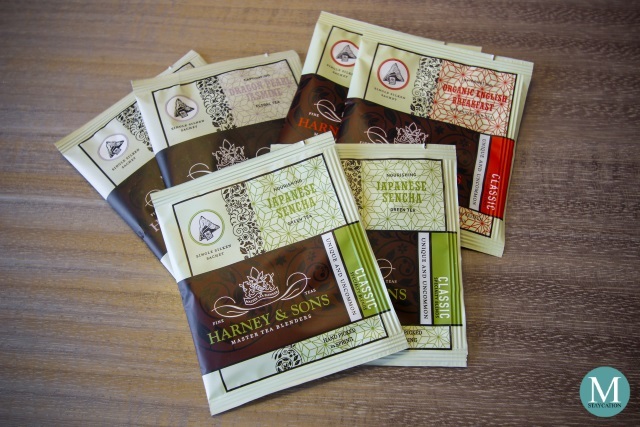 Conrad Manila provides Harney & Sons premium teas in all its guestrooms and suites. 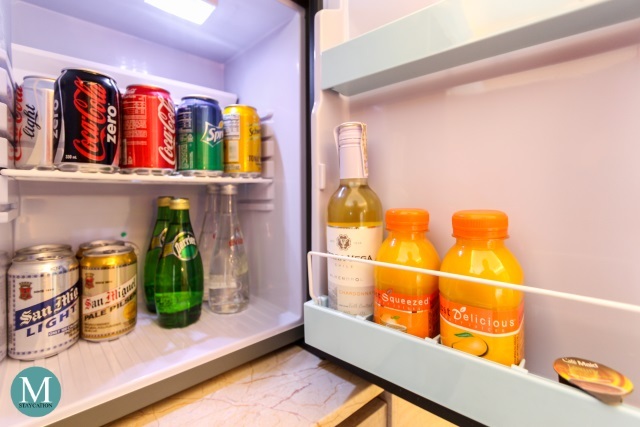 There's also a selection of soda, bottled water, local beers, wine and fruit juices stored inside the mini refrigerator. 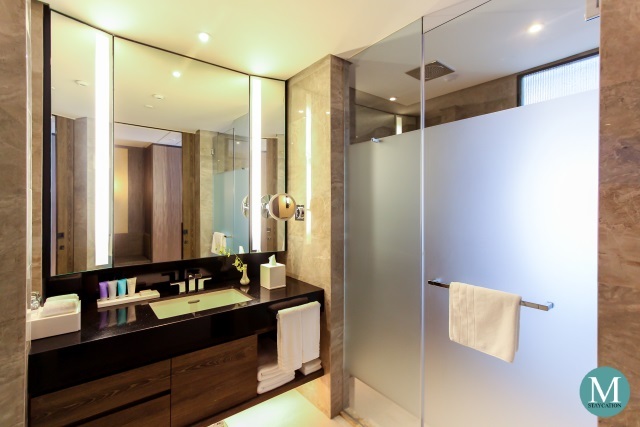 The Bay View Deluxe King Room also has an equally spacious bathroom. It has a water closet and a walk-in shower equipped with a rain-fall shower, a hand held shower and a three-jet body shower. The bathroom only has a single basin. There's a spacious granite countertop where you can place your personal items. 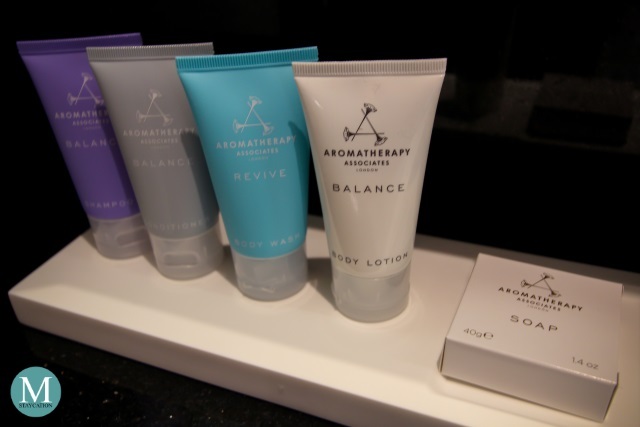 Conrad Manila provides bathroom amenities by Aromatherapy Associates which is among our favorite hotel toiletries brand. 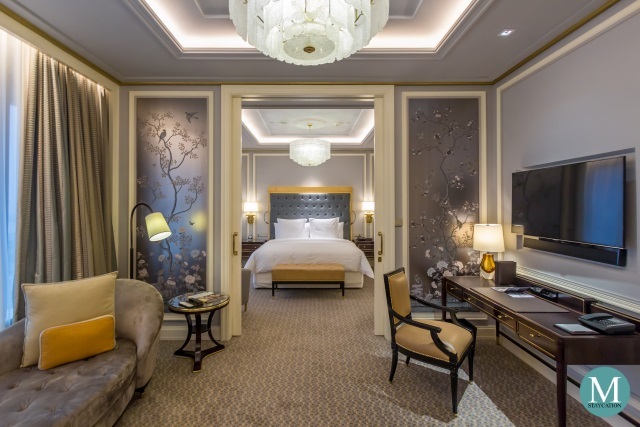 Aside from Aromatherapy Associates, guests can also choose from three other brands such as Tara Smith, Shanghai Tang, and Refinery. Among the four, I personally prefer Aromatherapy Associates but if you prefer any of the other three brands, you can just call housekeeping and request for your preferred toiletries brand. This level of personalized service is unique to Conrad Hotels. After having dinner at Brasserie on 3, we want back to our room and noticed that turndown service was already done. This is normally the time when I would take a shower and prepare for bedtime. I appreciate it that the bedroom slippers were already prepared beside the bed. 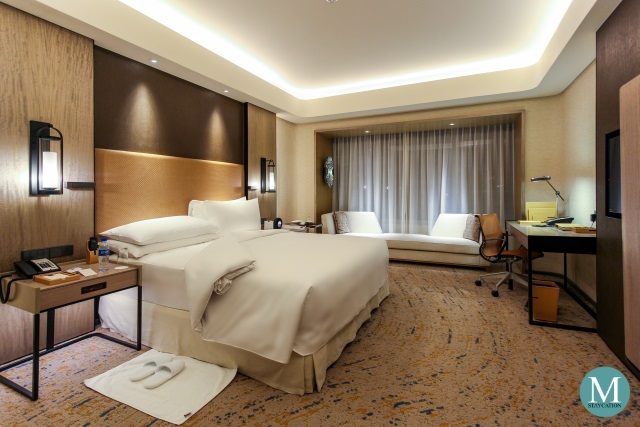 Overall, we enjoyed our stay here at the Bay View Deluxe King Room of Conrad Manila. It's very spacious, the interior design makes the room feel more spacious and bright. 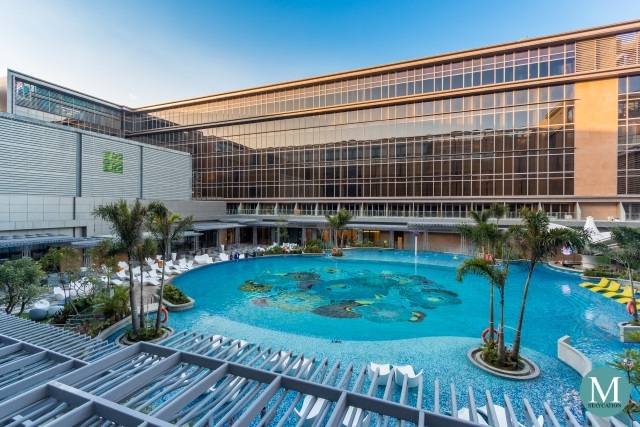 The state-of-the-art amenities made our stay extra special. Most of all, the view from the room was spectacular! 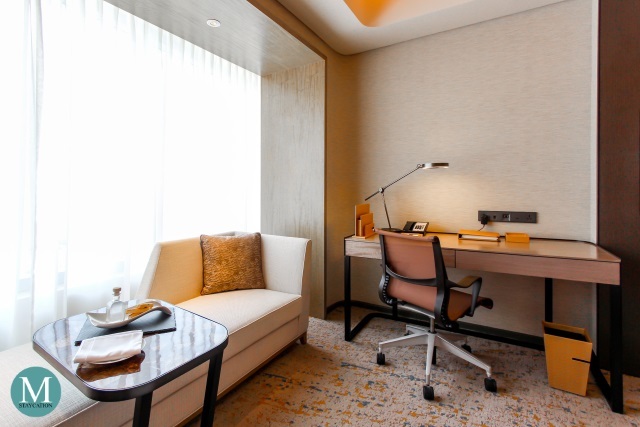 Conrad Manila is ideal for business travelers, leisure travelers and staycationers who have a discerning taste for luxury accommodation and world-class hospitality service. 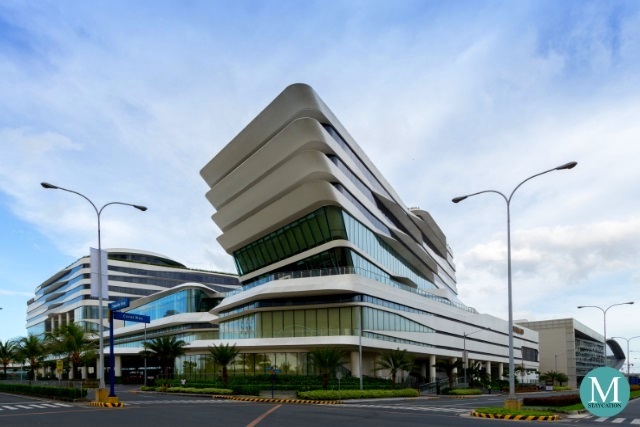 Conrad Manila is located at the Mall of Asia (MOA) complex in Pasay City, Metro Manila near shopping malls, convention centers, heritage sites and is easily accessible from the airport through the newly opened NAIA Expressway.